Is it appropriate for NDP Members of Parliament to be working for “greater friendship” with a country that is killing and maiming thousands of non-violent protesters? Would it have been appropriate for any elected member of the party to be a “friend” with South Africa’s government during the apartheid era? Victoria area MPs Randall Garrison and Murray Rankin are members of the Canada Israel Interparliamentary Group (previously named Canada-Israel Friendship Group). Garrison is vice-chair of a group designed to promote “greater friendship” and “cooperation” between the two countries’ parliaments. 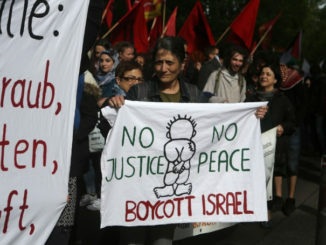 The chair of the group is York Centre MP Michael Levitt, a former board member of the explicitly racist Jewish National Fund, who issued a statement blaming “Hamas incitement” for Israeli forces shooting thousands of peaceful protesters, including Canadian doctor Tarek Loubani. 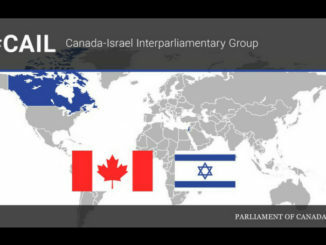 The Interparliamentary Group is one of many pro-Israel lobbying organizations in Canada. In conjunction with the Centre for Israel and Jewish Affairs (CIJA) and Canadian Jewish Political Affairs Committee, the Interparliamentary Group has hosted wine and cheese lobbying events on Parliament Hill. Three hundred parliamentarians and parliamentary staff attended their 2014 “Israeli Wine Meets Canadian Cheese” gathering in the East Block courtyard. The group regularly meets the Israeli Ambassador and that country’s other diplomats. Representatives of the Group also regularly visit Israel on sponsored trips. For their part, Garrison and Rankin both participated in CIJA-organized trips to Israel in 2016. 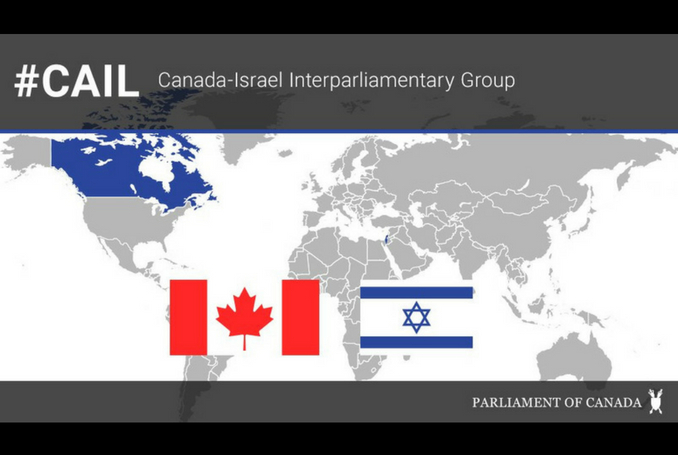 The Interparliamentary Group works with its Israeli counterpart the Israel-Canada Inter-Parliamentary Friendship Group. In 2016 the Group sent a delegation to the Israeli Knesset and last year they organized a joint teleconference with Israel-Canada Inter-Parliamentary Friendship Group co-chairs Yoel Hasson and Anat Berko. Last month Hasson responded to Meretz party Chairwoman Tamar Zandberg’s call for an investigation into the Israel Defense Forces’ killing of non-violent Palestinian protesters by tweeting, “there was nothing to investigate, the IDF is doing what’s necessary to defend the Gaza border.” Chairman of the Zionist Union Knesset faction, Hasson opposed the UN resolution on a Palestinian state. When the Knesset voted to strip Arab MK Hanin Zoabi of parliamentary privileges for participating in the 2010 Gaza flotilla Hasson and MK Carmel Shama “nearly came to blows” with Zoabi and her fellow Balad party MK Jamal Zahalka. Hasson later called Zoabi a “terrorist”. Berko is even more openly racist and anti-Palestinian. A Lieutenant-Colonel in the IDF reserves prior to her election with Likud, Berko openly disparaged African refugees. 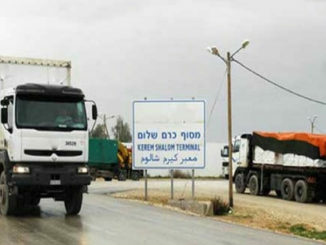 In February Israel National News reported, “Berko said that the MKs should see the suffering that African migrants have caused South Tel Aviv residents before jetting off to Rwanda” to oppose an effort to deport mostly Eritrean and Sudanese refugees to the small East African nation. In January Berko co-sponsored a bill to bypass a High Court ruling that Israeli forces cannot use the bodies of dead Palestinian protesters as bargaining chips. The aim of the bill was to make it harder for the bodies to be given over for burial, which should happen as soon as possible under Muslim ritual, in the hopes of preventing high profile funerals. Garrison and Rankin must immediately withdraw from the Canada–Israel Interparliamentary Group. If the NDP MPs refuse to disassociate themselves from the pro-Israel lobby organization, party leader Jagmeet Singh should replace them as (respectively) NDP defense and justice critics. Israel’s slaughter in Gaza should lead to an end of the NDP’ s anti-Palestinian past. One can only hope, Yves. The NDP are no longer the socialist humanitarian party they once were…or at least appeared to be. They are now a centrist party supporting all of Canada’s imperial adventures as a puppet of the U.S. as well as a part of our British colonial-settler heritage.